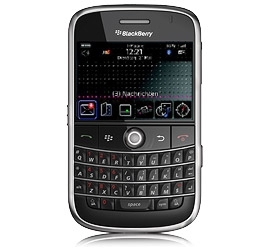 T-Mobile Germany launches BlackBerry Bold 9000 | BlackBerry Blast! T-Mobile Germany has launched the BlackBerry Bold 9000. The device is now listed on the carrier's web site. Yesterday, Chilean carrier Movistar launched the BB Bold. It looks like the BlackBerry Bold will be making its way around the world. What's up AT&T? Where is it?